Redwood Hill Farm is located just a few hours north of where I live, but I first heard about them after I attended the Fancy Food Show in San Francisco this winter. There was an award winning recipe that I had to try but which sounded crazy. It was called a "Perpetual Goat Stopper" created by artisan Perry Soulos and was inspired by one of my favorite movies, Willy Wonka. But more on that recipe later. Redwood Hill Farm, and their sister brand Green Valley Organics, offered to send my some of their products to review and the previously mentioned recipe to try. As always, reviews at Lunchbox Dad are a family affair and when I try out products I let you know how they work for the kids and adults. My goal is for you to decide if these products will work for your entire family! Redwood Hill Farm has been a family business operating since 1968 in Sonoma County, California. They have been selling goat milk and goat milk products for almost as long as they have been in existence. Their farm is "Certified Humane" for animal care and treatment. Goat milk products can be relatively low in calories and fat, high in protein, and can contain probiotics. Green Valley Organics produces lactose free dairy products and is committed to environmental sustainability as well as the humane care of animals. In fact it is the only organic, "Certified Humane," lactose free brand in the United States. All of these products are from the same family-operated company, they are sister brands. For lactose intolerant people, all of the products from Green Valley Organics are lactose free. Redwood Hill Farm goat milk is not but it is naturally lower in lactose than cow's milk and is more easily digestible for those who have stomach problems due to lactose. I know what you are thinking. All of this is well and good but if my family won't eat their products then what is the point? Doesn't goat milk taste different and strange? Let me assure you that I have spent a good deal of time with my family testing out everything that you see above. I will let you know what we loved, how we used it, and what didn't work for us. Let's start with both company's line of kefir. This is a milk like drink which can be flavored and used different ways. We had the opportunity to taste a few of the different varieties. My kids had differing opinions on them. My daughter's favorite was the Redwood Hill Farm Mango Orange Pineapple. My son preferred the Green Valley Organics Strawberry Pomegranate Acai. I am not kidding when I say that they sucked these down in less time than it took to pour them the glass. We called it "special milk" and used it for a treat for them after meals. They still ask for it. We also used both flavors of kefir in fruit smoothies. This is how my wife and I preferred to drink them. The smoothies were flavorful and the kefir provided a healthy base from which to build them on. 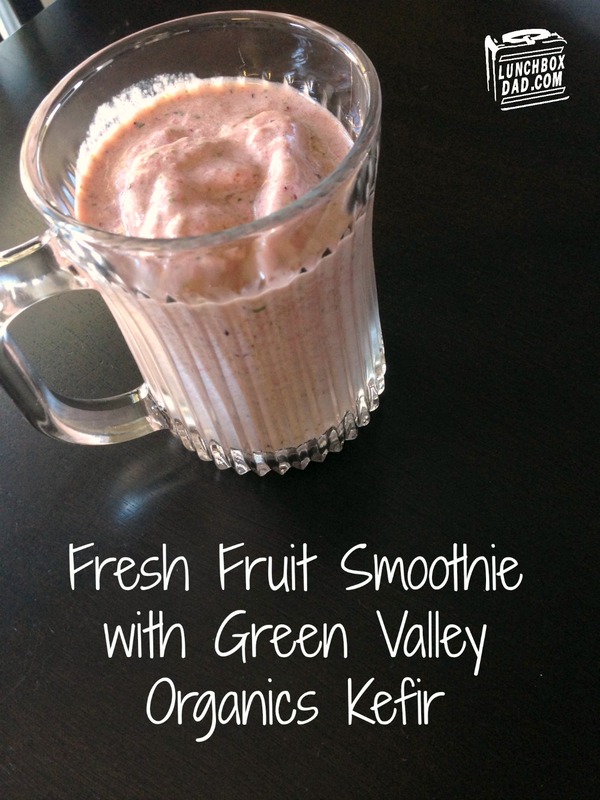 We used the kefir again and again for these tasty smoothies. In our house, we eat yogurt almost everyday. I should tell you that I prefer Greek yogurt to almost any other type. My kids eat more traditional varieties of yogurt. I didn't have much luck getting my kids to eat this yogurt. I don't know what it was, they tried a few different flavors, but they just didn't like it. I, on the other, hand have tried almost every flavor and found both the Redwood Hill Farm and Green Valley Organics to be creamy and rich with fruit that is full and sweet. Honestly, since we received this yogurt I have been eating it much more than my regular Greek yogurt. My favorite flavors would have to be the Peach from Green Valley Organics and the Apricot Mango from Redwood Hill Farm. The Green Valley Organics sour cream was a real treat. We weren't sure what to expect from a lactose free sour cream but our whole family loved it. We first used it on top of enchiladas and were shocked by how good it was. My wife is usually much more critical on food such as this and she raved about this sour cream. We also tried it as a dip with some beans and on top of taco soup. The last products that we were able to try was the most exciting for me. We belong to a large family of cheese lovers so we planned to do a tasting at our monthly family dinner. Before I get to that let me tell you about the "Perpetual Goat Stopper" recipe and how I used it for my kids. It was very easy to make and only involves grapes, Redwood Hill Farm Chèvre cheese, candied ginger, and Fruity Pebbles. Yes, you read that right, Fruity Pebbles! To find out the whole story and see the instructions click here! A picture of my finished product is below. My kids loved these and begged me to make more. I can only describe the taste as creamy with a burst of juice, when you bite into it. The "Goatstopper" is also surrounded by a fruity, crunchy texture. It sounds weird but it works so well. 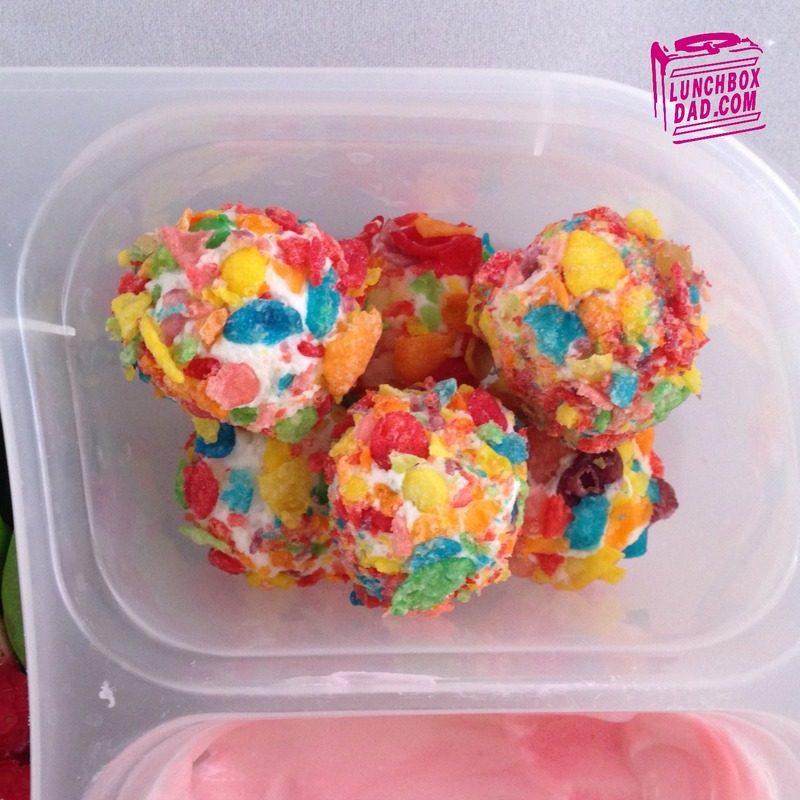 Below you will see a picture from my daughter's My Little Pony Lunch with these fun snacks. When it finally came time to have our family cheese tasting party, we were excited to say the least. We decided to try the cheeses paired with other items and also by themselves. 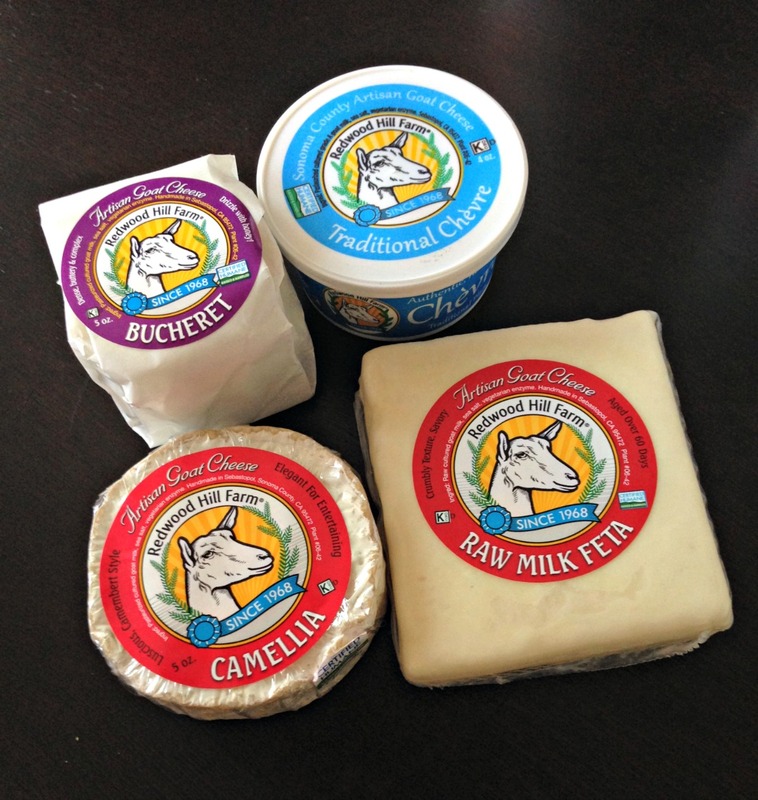 We served the Redwood Hill Farm traditional Chèvre, Camellia, and Bucheret. We paired them with pita chips, multigrain crackers, local honey, and dried fruit. Some of my family, my wife and I included, were addicted to the Chèvre on pita chips with a drizzle of local honey. I can't begin to rave enough about this combination of flavors. The only problem with it is that I couldn't stop eating it! The Chèvre also paired well with dried blueberries on a cracker. The kids loved eating it this way. The Bucheret, a double gold award winner, was terrific when sliced and served on a cracker or just eating it by itself. The goat milk was not overpowering and the flavor was mellow, smooth, and buttery. The Camellia was very similar to brie. It was soft and creamy surrounded by a tasty rind on the outside. Every person there had their own favorite cheese but no person really disliked any of them. 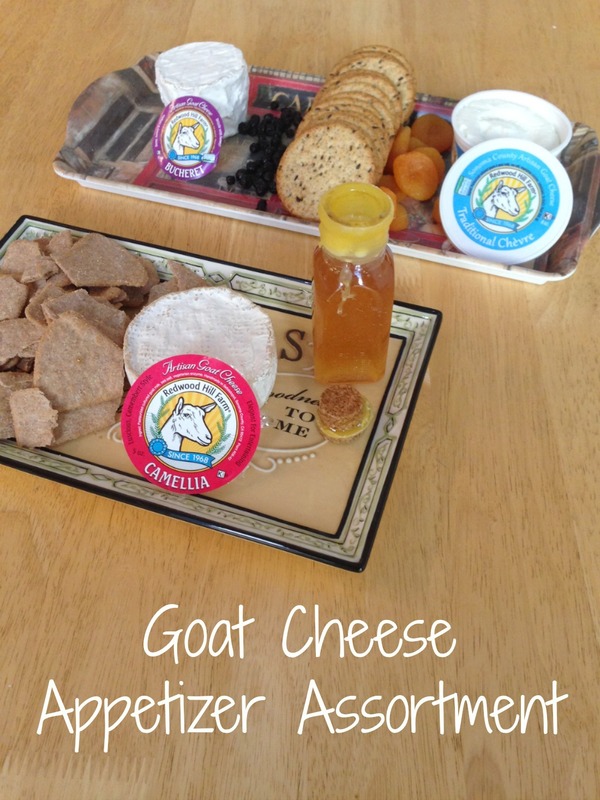 The cheese made for a fun party experience and I would definitely pick these varieties up again. To summarize, our kids enjoyed the kefir and sour cream, but didn't care for the yogurt. Adults preferred the kefir in smoothies and found the sour cream, and yogurt, to be tasty. Everyone fell in love with the cheese. 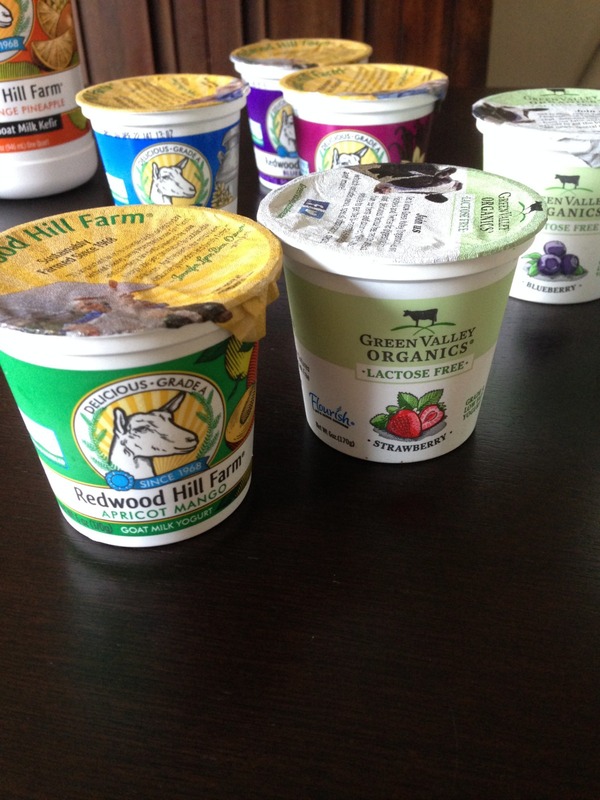 Next time you see Redwood Hill Farm or Green Valley Organics in the store, I highly recommend you try them out, especially if you are lactose intolerant or just want to try something different! You can find out more about Redwood Hill Farm HERE and Green Valley Organics HERE. 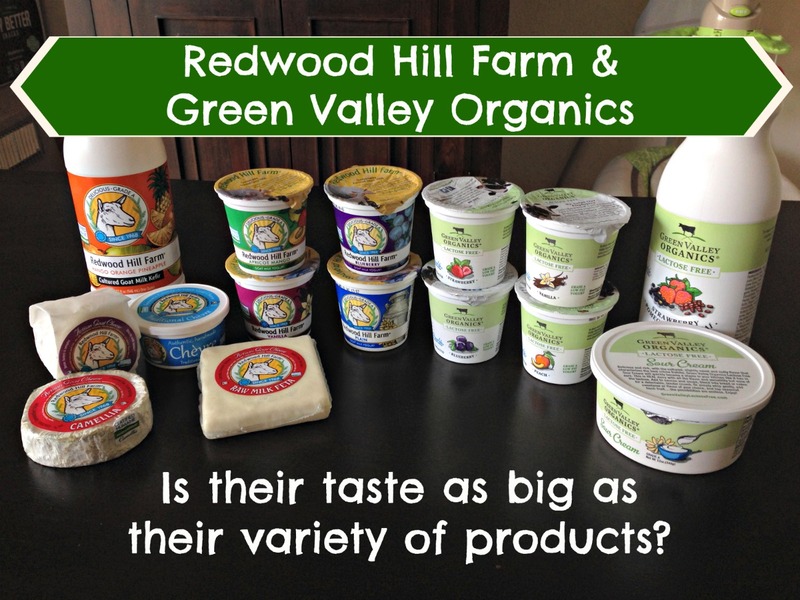 Disclosure: Redwood Hill Farm and Green Valley Organics sent me their products to review. I have received no other compensation for this post and the opinions I’m expressing here are solely my own.